Alison has been a hairstylist since 2009 and feels that a hairstyle “is a way to say who you are without having to speak” (Rachel Zoe). She has continuously pushed to further her education and techniques in order to bring the newest and hottest styles to you. Before becoming licensed as a cosmetologist, Alison attended Chico State University and earned her Bachelors degree in English Literature. She is a great listener, which enhances her ability to create the results her clients envision. So far, Alison’s favorite moment as a stylist was a simple cut and style for a teenage girl that came in for a trim and left smiling from ear to ear, amazed at how good her hair looked and felt. Seeing the pride in this girl’s eyes made Alison realize that she could never stop being a hairstylist. That one moment is what she strives to recreate for each and every client. 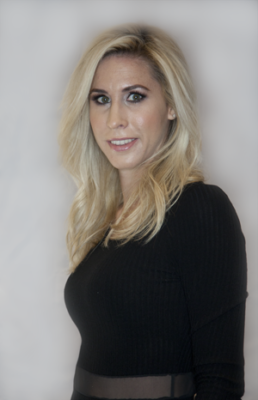 Book your appointment with Alison at our Ladera Ranch, Orange County hair salon!